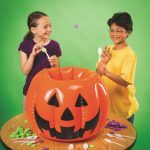 Are you looking to add some pumpkin decorating to your Fall festival event or program this year, but without the materials and mess of carving? We’ve shared 10 of our favorite DIY no-carve pumpkin ideas! 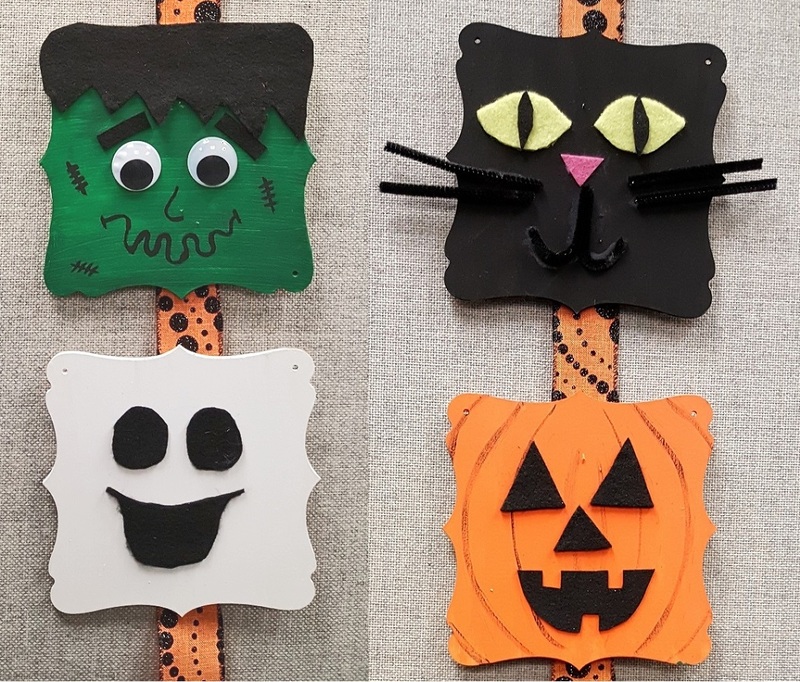 These creative designs each require only a few craft materials like paint or sequins, plus they are simple enough for a range of ages. They will also last longer for your seasonal celebration. Choose your favorite emoji to paint on your pumpkin (or spray paint), then cut pieces of felt and glue them on. We found these cute examples below from Cutefetti – great for inspiration! A pumpkin design that’s out of this world! We love this colorful galaxy pumpkin created by the folks at Dream a Little Bigger. First, paint your pumpkin black, then use a sponge or paper towel to dab on a few other colors, like gold, blue, and purple. For the stars, use a toothbrush or spray bottle. You can take it a step further and carve the pumpkin first, then create holes and add lights inside to make it glow. How cool is this melted crayon idea from Crayola? Simple unwrap some crayons, glue them to the top of the pumpkin, then use a heating tool to melt them. Watch as they drip down the sides of the pumpkin and the colors mix together! Check out the video below. These adorable woodland creatures were created by Real Simple and Frugal Fun for Boys & Girls. All you need is felt, glue, and wiggly eyes to make a deer, owl, racoon, and any other animals you’d like! Use sequins or sticky gems to make your pumpkins sparkle! There are so many designs you can make with these materials and so many possibilities. Create dots, spirals, stripes, spider webs, and letters. Check out Pinterest for all of the creative ideas like the ones below. Light up your fall season with glow in the dark pumpkins! All you need is some glow paint to make spiderweb designs, spooky faces, dots, and other shapes. Some of our favorites from Pinterest are below. Drip painting is a popular craft activity this year, so why not try it on pumpkins for the Fall season. We love the color patterns used on Mom Dot. You will need paint, something to catch the mess, like paper plates or newspaper, and a few household jars to hold up the pumpkins while you are pouring. This may get a bit messy, but the finished projects come out amazing! One of our favorite types of paint is called puffy paint. Just squeeze the bottle, use a heat tool like a hair dyer, and watch the paint puff up to a 3D look. Have fun with colors and designs! Find ideas and inspiration on Pinterest. With some tissue paper and mod podge, you can decorate your pumpkins in style! Cut out the design you choose, then apply it to your pumpkin with mod podge so it stays in place. These were made by Fresh America Style. Wrap your pumpkin up like a mummy! 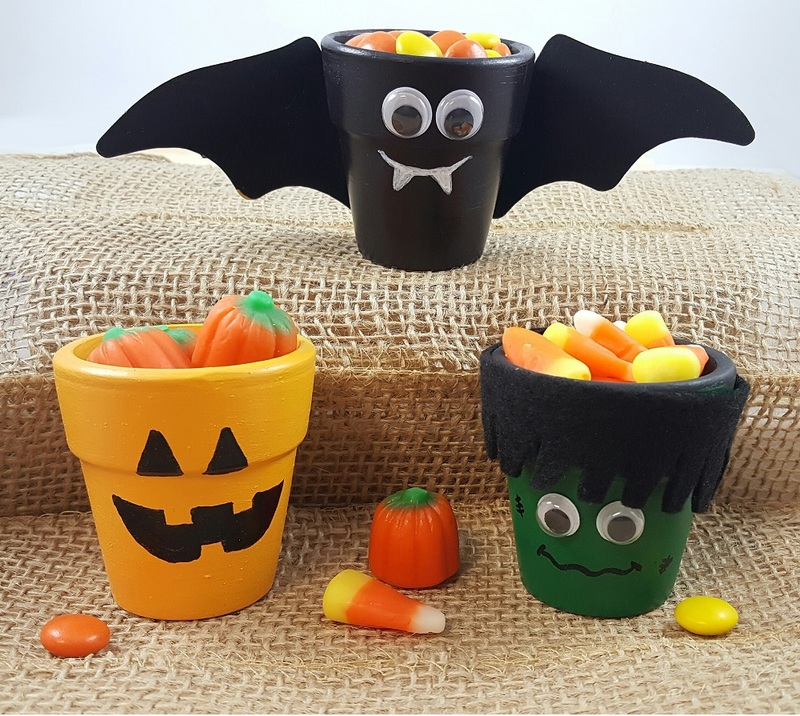 This idea from A Little Bit of This & That is so simple yet adorable, and perfect for a Halloween theme. All you need is some white and wiggly eyes. Tell us your favorite no-carve pumpkin option for the Fall season! 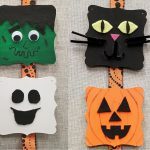 This entry was posted in Fall Crafts, Halloween, Holiday & Seasonal, Holiday Crafts and tagged DIY pumpkin crafts, fall, fall crafts, fall festival, fall season, halloween crafts, Holiday Crafts, no carve pumpkin ideas, pumpkin, pumpkin crafts, pumpkin decorating by S&S Worldwide. Bookmark the permalink. 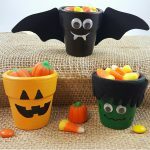 These pumpkin Ideas are absolutely adorable! Thank You So Much! Cheers!